For more than 30 years, we have specialized in authentic, reproduction hardware and lights. Our quality products can be seen in landmark buildings such as The White House, The U.S. Capitol Building, historic buildings around the country, and many theme parks, feature films and tv shows. In fact, when it comes to reproduction lighting and hardware from pre-1940 - our company has for years been one of the preferred suppliers of authentic film and stage recreation lighting pieces for Hollywood studios. For more than 35 years, Steve Lopes is who designers and architects call when they want something special – something personal. His artisan metalwork is noted for its textural depth, and the layered interplay of elegant lines, curves, and grids. 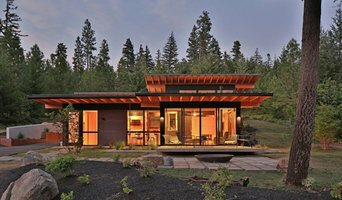 His process is deeply engaged and collaborative; a conversation that results in something extraordinary for each client. Steve is an artist and an engineer. He understands that metalwork lives in a space; that light and shadow play with railings; that a properly-designed chandelier can bring a dramatic space into a more human context. That combination of talent and experience results in metalwork that perfectly suits its space. Steve brings a lifetime of studying space and design to bear on his work. Growing up in the dynamic post-war San Francisco Bay area, his parents knew many of the original Silicon Valley pioneers and their far reaching ideas. Steve spent his summers working with graphic designer Nicolas Cann, who introduced him to the gifted furniture designer Hendrik Van Keppel. Their influence and support helped him ask the right questions about what to do with the gifts he possessed. In his late teens, he studied in the art department at the University of Washington under the influence of Ritchie Kehl. In the 1970s various jobs followed including arborist, commercial fishing in Alaska, blacksmithing, vineyard work and repairing fishing boats. Blacksmithing was where all of his interests and talents eventually converged. In 1978, he set up his studio in the renowned artist and marine community of Port Townsend. Over the years, Steve has attracted a world-class team that have created custom metalwork that can be found throughout the United States. 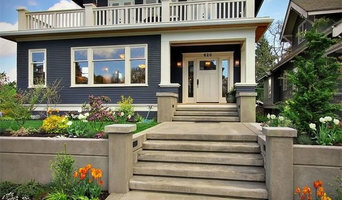 Think about how you plan to use each area of your Kirkland, WA home. It's important to communicate to your Washington lighting designer which space will be used as an office and which will be a media room, for example, as these will require very different lighting methods. In addition, consider how you'd prefer to control the lights. Lighting technology today includes dimmers, sensors, photocells (that let lights react to the amount of daylight in a space), programmable scene controls (that let you program different settings for varied lighting) and whole-house lighting controls (that let you control all or a portion of your home's lights from one source), allowing you to tailor your lighting controls however you wish. Find a lighting designer on Houzz. 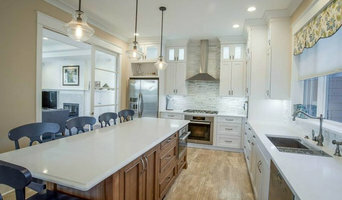 Narrow your search in the Professionals section of the website to Kirkland, WA lighting designer. You can also look through Kirkland, WA photos by style to find a lighting design you like, then contact the designer.